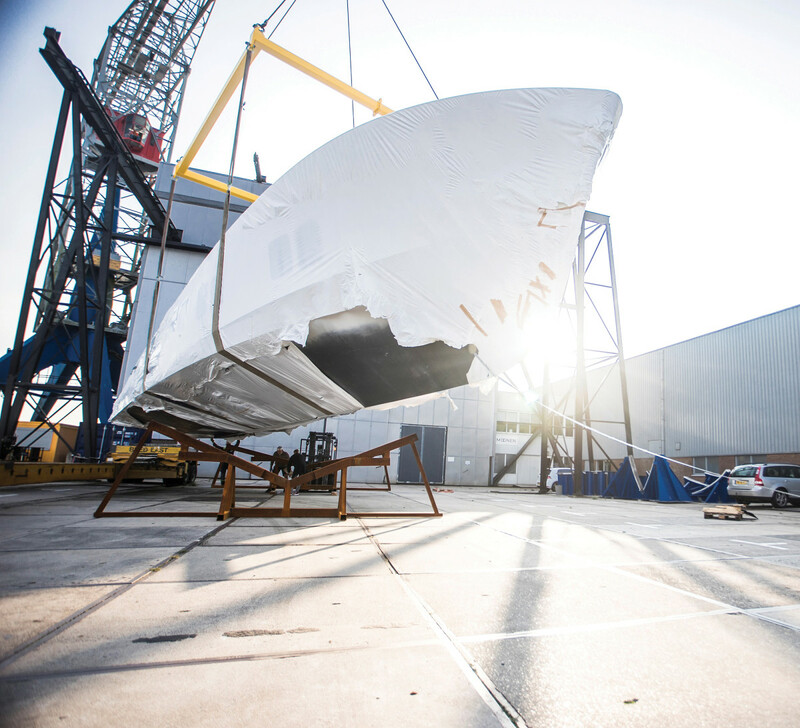 The Dutch-built vessel is an Art Deco stunner with modern sensibilities and superyacht-level features. 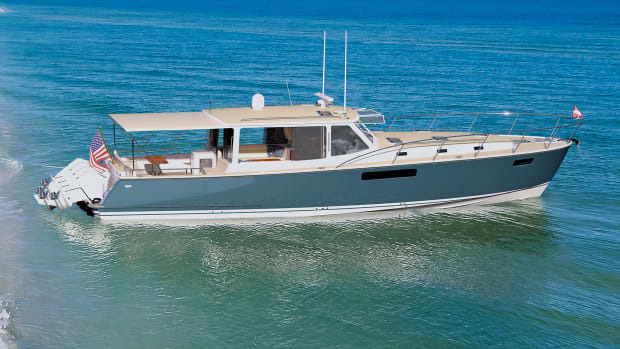 Zeelander takes its design cues from the elegant commuter yachts of yesteryear—long, graceful sheers, gleaming brightwork and raked transoms define the brand language. 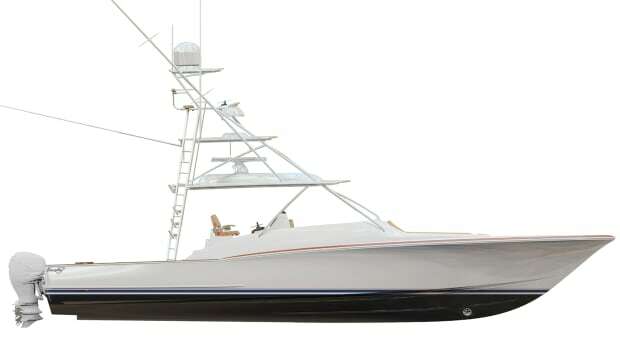 The first launch, a 44-footer, was such a winner that the next was essentially a scaled-up version. 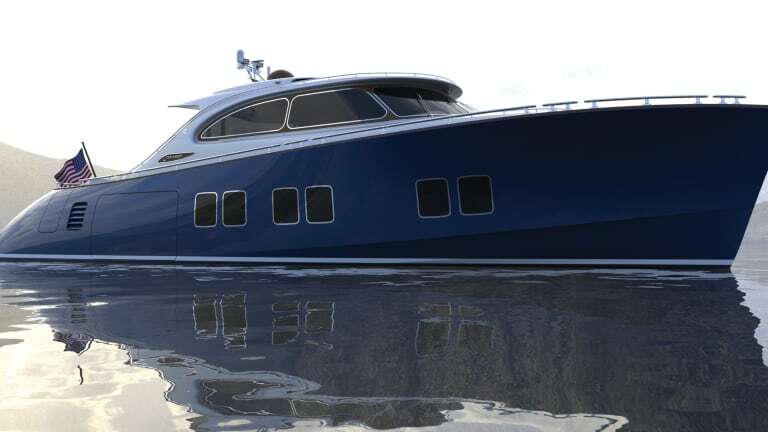 For the fleet’s 72-foot flagship, the Dutch builder felt it needed to push the styling envelope. Like the aforementioned sports car, the 72’s styling has become more aggressive as the brief calls for a larger footprint. 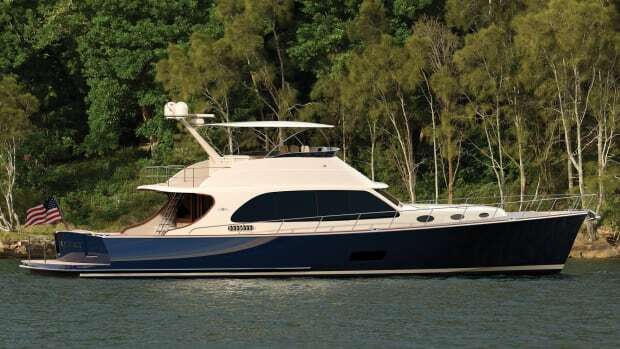 Koopmans mentioned the yacht’s silhouette is inspired by military vessels—evident in her somewhat utilitarian profile, high bow and industrial-style vertical vents—but her seductive curves and creature comforts outshine those serviceable traits. 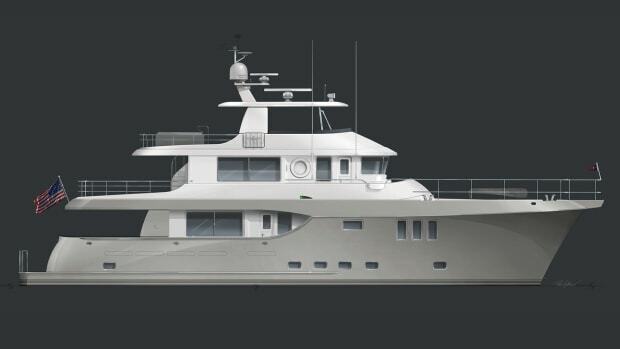 Zeelander says the 72 is roughly double the size of the 55 in volume and it looks to utilize this space for superyacht-level features. 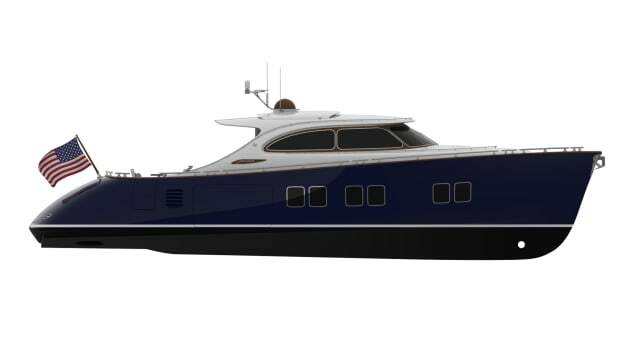 The fold-down transom (a design hallmark of the series) creates a massive, teak-clad beach club that can be further transformed into an alfresco stateroom with an optional, stowable queen berth; privacy curtains secure on four corners here via carbon fiber poles. Renderings confirm it would be a fine place to bookend the day. 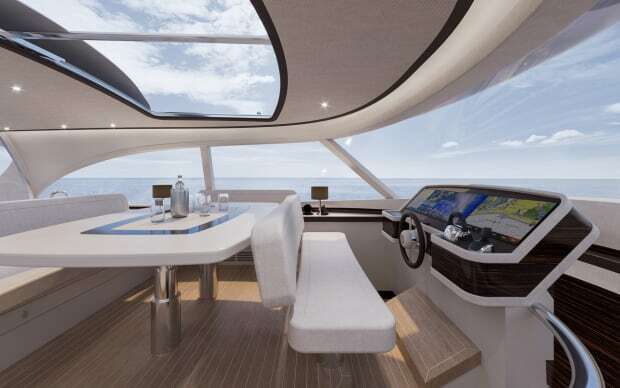 And if you feel that the large aft sunpad needs to do double duty, a Jacuzzi can be installed below it, the sunpad serving as its cover when not in use. It all fits quite well here. A beach club of this magnitude would generally mean sacrificing protected tender stowage—not for the 72. 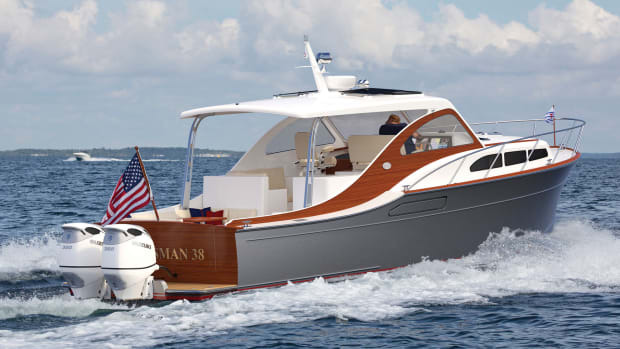 The commodious tender garage is served by a starboard-side hatch, the athwartships compartment roomy enough for a nearly 11-foot Williams RIB and some other water toys. 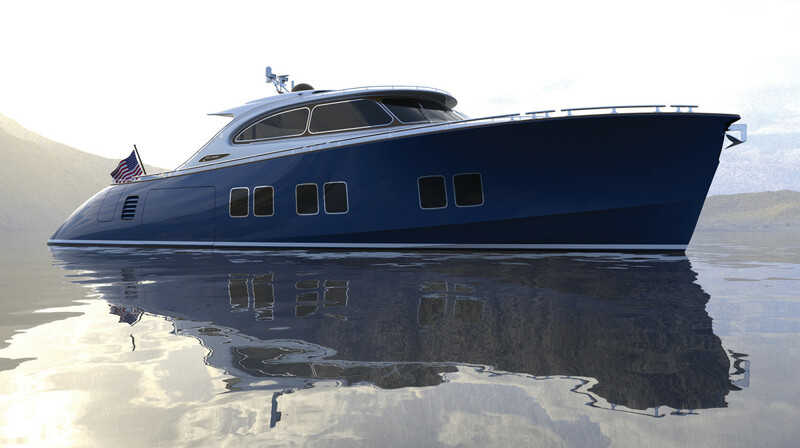 If one chooses to jettison the port-side crew cabin, the garage can extend to full beam. Light finishes dominate the airy salon. The gorgeous wood inlays and teak sole are actually maintenance-free, expertly painted fiberglass. 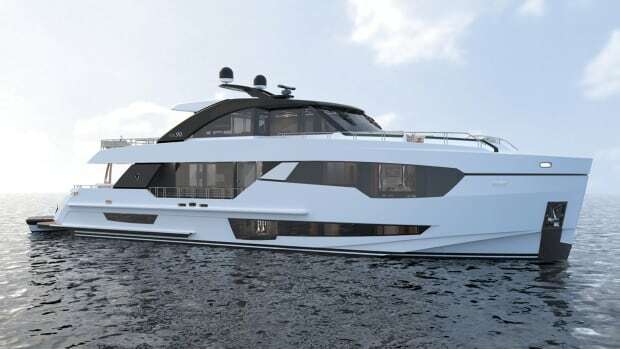 I nearly gave up trying to figure out how many people can be seated comfortably in her cockpit and airy salon—it’s certainly more than her three en suite staterooms (two amidships with queen berths and the forward master with a king) can handle. 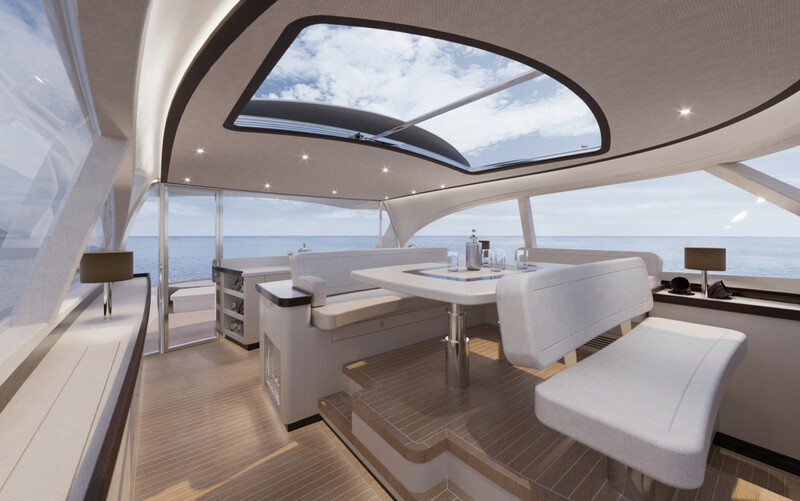 I’m drawn to the deck’s quartet of fixed bar stools: The area is protected by the hardtop overhang and easily served by the salon’s aft galley via the huge, electrically retractable sliding window. 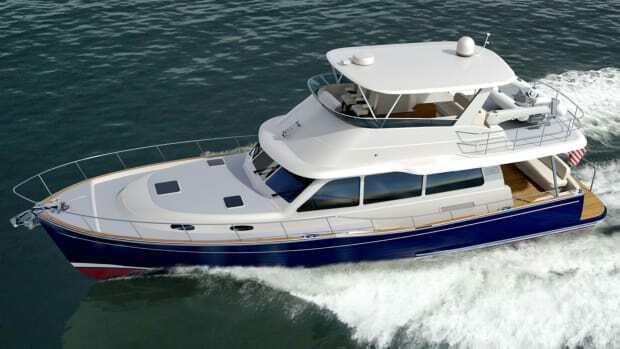 Triple, 750-hp Volvo Penta IPS950 drives are standard power, with IPS options up to 1,000-hp apiece; the bigger powerplants should push the boat to 40 knots with the throttles pinned. Hull No. 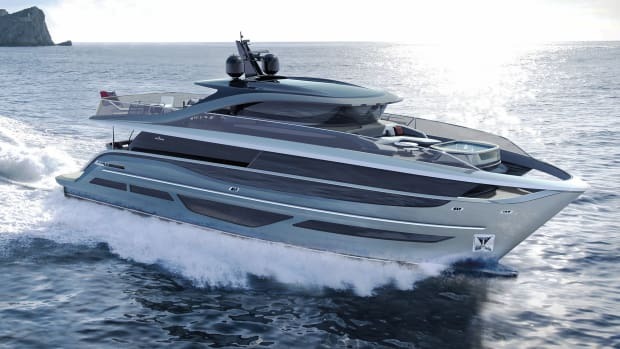 1 will be ready to rock as well with, according to Koopmans, “the biggest JL sound system on all spaces—helm, galley, aft deck, foredeck, staterooms and even the swimming platform.” Her smashing design won’t be the only thing making noise when the Z72 splashes at the Monaco boat show in 2019. An aggressive profile is softened with a graceful sheer and three sets of large hullside windows. Note the tender garage hatch, capable of housing a Williams tender and a PWC when extended to full beam.